Who doesn’t love birds? They sing, they fly, and overall make the world a happier place. I mean, we love reading about them, observing them outside, learning about their habits and even their habitats. 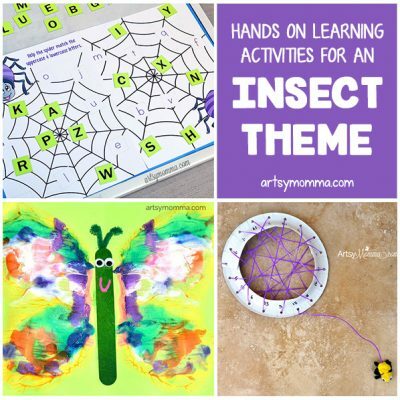 But we also love to make bird crafts! 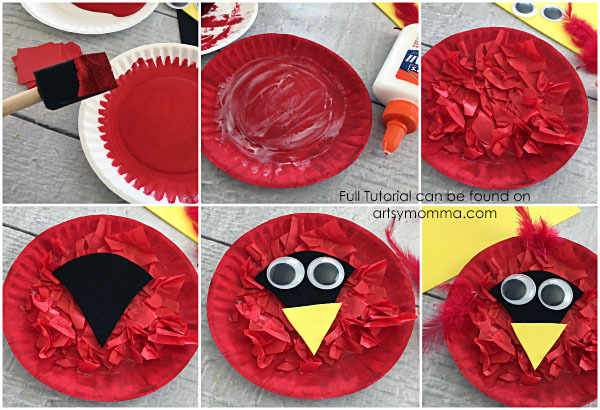 Today’s craft tutorial is for the bird-lovers and if you are a St. Louis Cardinals fan, you will especially love this idea! 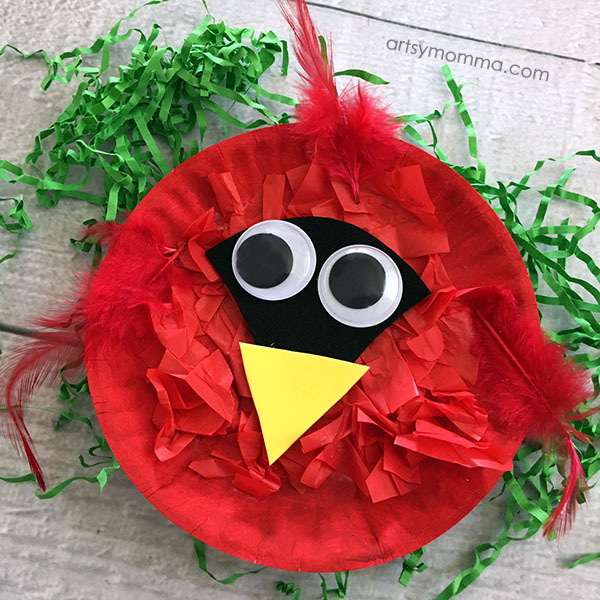 In this post, we show you how to make an awesome paper plate cardinal craft that kids will love making and you will enjoy hanging for display. 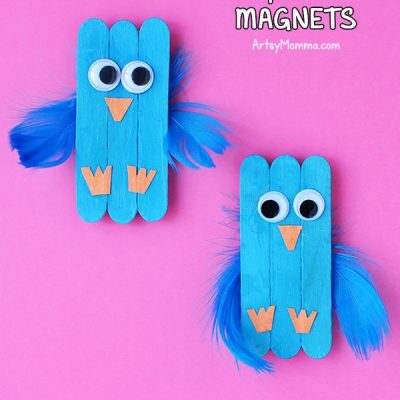 Take a look below to see how cute they are and how easy they are to make. *This post contains affiliate links. Please read more about what this means HERE. 1. Line your craft surface with old newspapers. 2. Paint the front of your paper plate red with your foam paint brush and let dry. 3. Spread a thin layer of glue onto your red plate. 4. Crinkle one tissue paper square at a time and stick to your glue. Repeat until the center of the plate is covered. 5. Cut 3 small triangles from your yellow craft foam. 6. Glue the triangle to the center of the plate for the beak and glue the feet to the bottom front of the plate. Cut 2 fringe lines into the bottom of the feet. 7. Then glue 2 googly eyes above the triangle beak. 8. Now glue 1 feather to each side of the plate and 1 on top of the birds head. 9. Let your cardinal dry. What do you think? They’re totally doable, right? 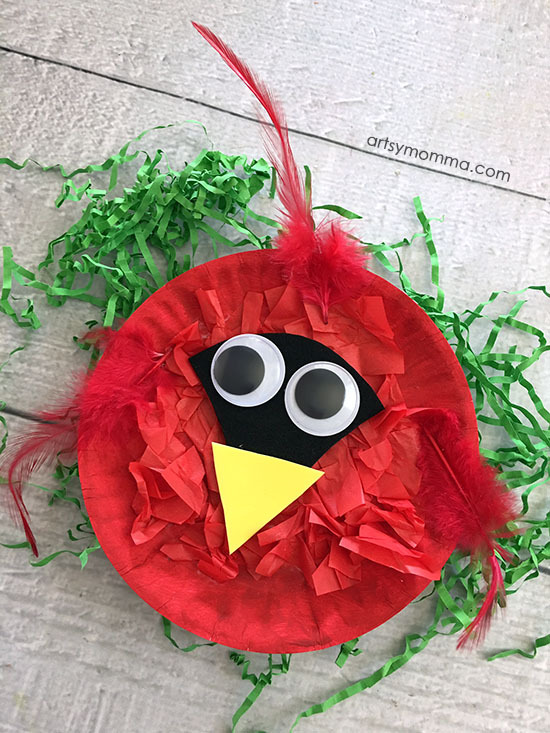 You might also love checking out this cool-looking yarn wrapped cardinal craft from a blog buddy of ours. Oh! And don’t forget to check out our recycled k cup bluebirds – they are adorable!